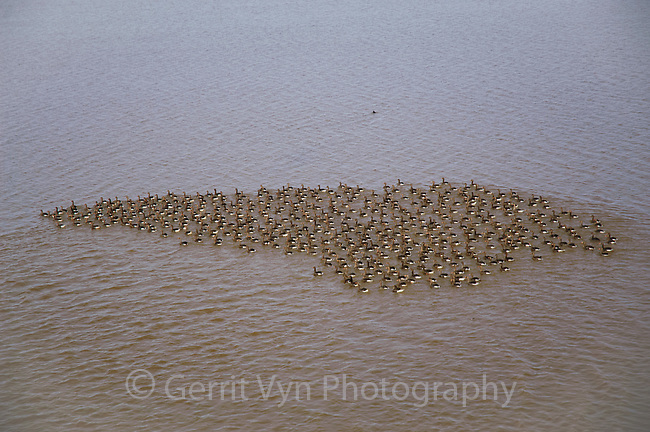 Flock of molting Greater White-fronted Geese (Anser albifrons). Teshekpuk Lake, Alaska. July.